Recently world has been shocked with terrorist attack at Mumbai, India which killed almost 130 persons and injured many of others. Where the heck is actually Taj Mahal Hotel? Is it near the greatest Taj Mahal Wonder of the World? Nope. Actually, the Taj Mahal Palace is a prestigious hotel located in the Colaba region of Mumbai, India, next to the Gateway of India. Part of the Taj Hotels, Resorts and Palaces, this 105-year old heritage building retains its stature as the flagship property of the group. What’s more? It boasts a distinguished list of guests including Mick Jagger, Jacques Chirac, Prince Edward, Duke of Kent & Katharine, Duchess of Kent, Harald V of Norway & Queen Sonja of Norway, Marianne Faithfull, Prince Philip, Duke of Edinburgh, Charles, Prince of Wales, The Beatles, Bill Clinton and Jacqueline Onassis. The hotel indeed is very popular among famous people in the world. From an historical and architectural point of view, The Taj Mahal Palace and the Tower are two distinct buildings, built at different times and in different architectural designs. The “Tower” refers to the Taj Intercontinental. 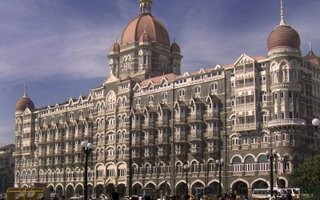 On November 26, 2008 the hotel was damaged in a series of attacks in the southern part of Mumbai. The roof of the hotel was destroyed by fire in the hours after the attack. What will happen next to this historical hotel? We just wait and see. òåìà î÷åíü àêòóàëüíà ñåé÷àñ, íå òàêë ëè? я люблю все ваши слова..
SOS! My car was broken on ave. Must I call to service or 911? and what do you think about energetic crisis in Ukraine? such a interesting think to read this post! where I may find morr informastionn? Where I can to find bolts on this topic? Yes, it’s real, I know! ono of the famous hotel in India. Taj hotels are located in every part of india. wow great story in your blog. like this! This is nice and very beautifull hotel in india. My husband and i got really joyful Michael could carry out his investigation with the ideas he obtained through your blog. « Dining Out at The Apartment, The Curve, Petaling Jaya.